Rowman & Littlefield Publishers, 9781538107218, 216pp. From the explosion of fake news to the challenges of the 24 hour news cycle, legendary journalist Bob Schieffer examines political journalism today and those who practice it. Based on interviews with over 40 media leaders, Schieffer provides an inside look at the changing role of media and asks whether today's citizens are more informed or just overwhelmed. 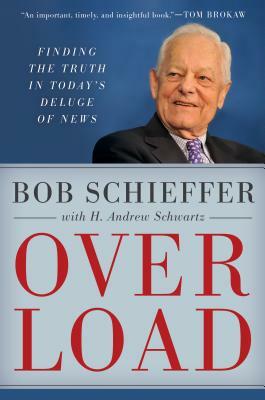 Bob Schieffer, one of America's pre-eminent television journalists and former host of CBS's Face the Nation, is the author of This Just In: What I Couldn't Tell You on TV (Penguin, 2003), Face the Nation: My Favorite Stories from the First 50 Years of the Award-Winning News Broadcast (Simon & Schuster, 2004), and Bob Schieffer's America (Penguin, 2009). He is a member of the Broadcasting Hall of Fame and in 2009 was named a Living Legend by the Library of Congress. He resides in Washington, DC. H. Andrew Schwartz is chief communications officer at the Center for Strategic and International Studies. A former White House producer at Fox News, Schwartz co-hosts with Bob Schieffer the weekly About the News podcast and writes The Evening newsletter, a daily roundup of international affairs.